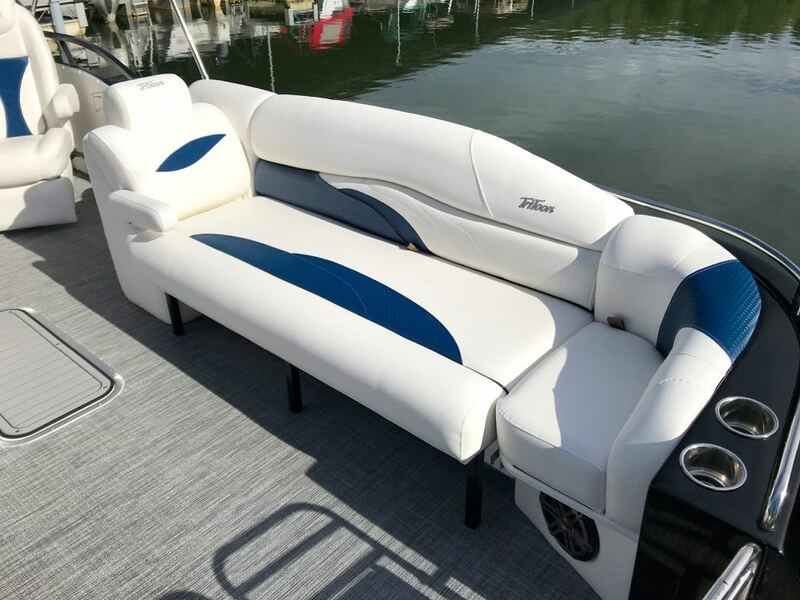 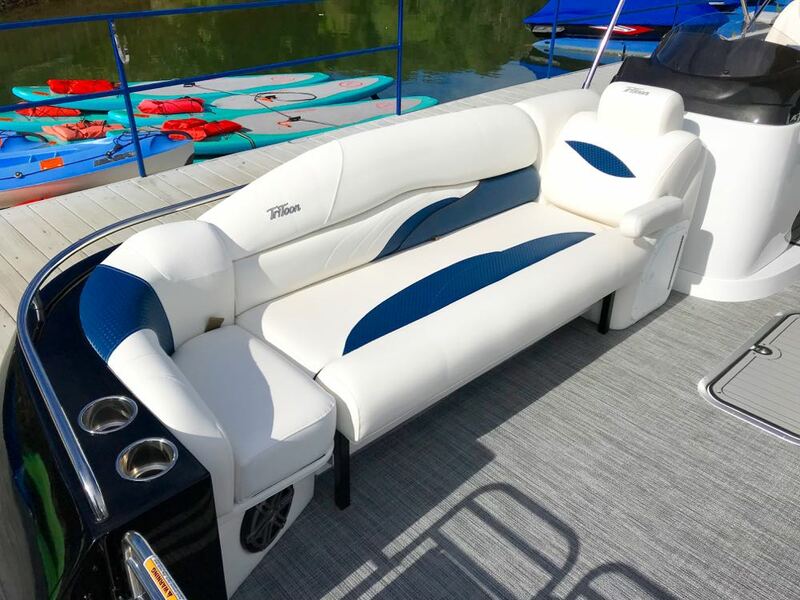 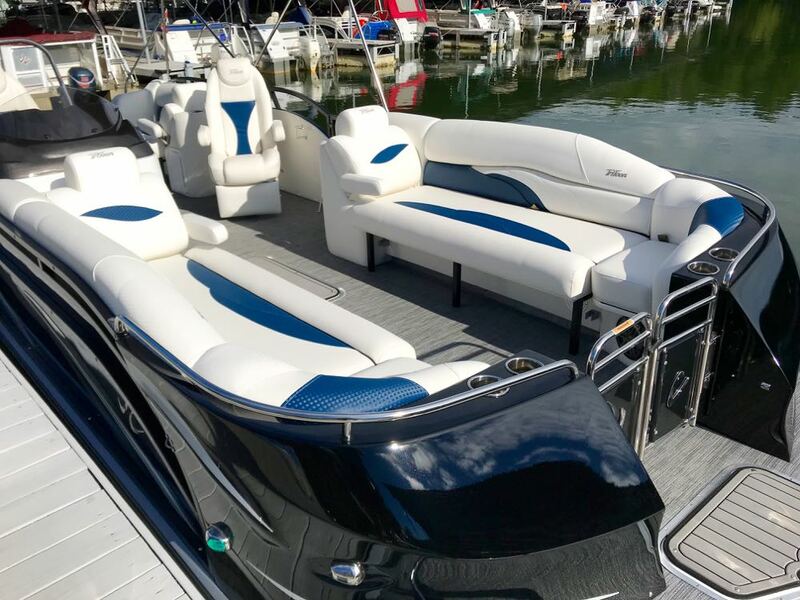 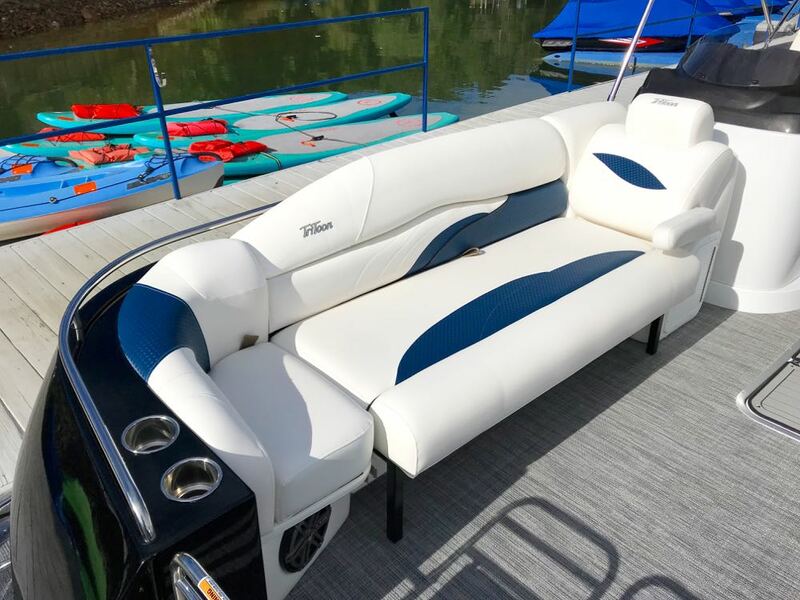 2019 JC TriToon SportToon 26TT TriToon Aft Lounge featuring JC’s new High Tide Hull! 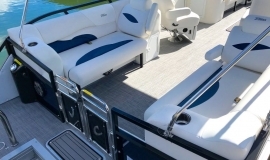 With a 6″ deep deck and dramatically stronger floor joists, the new High Tide Hull creates a striking and dynamic look on the water with the strongest deck and structure in the industry. 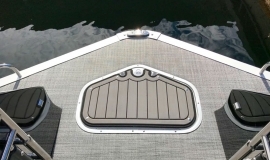 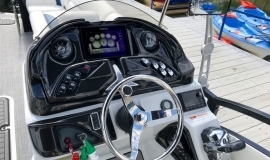 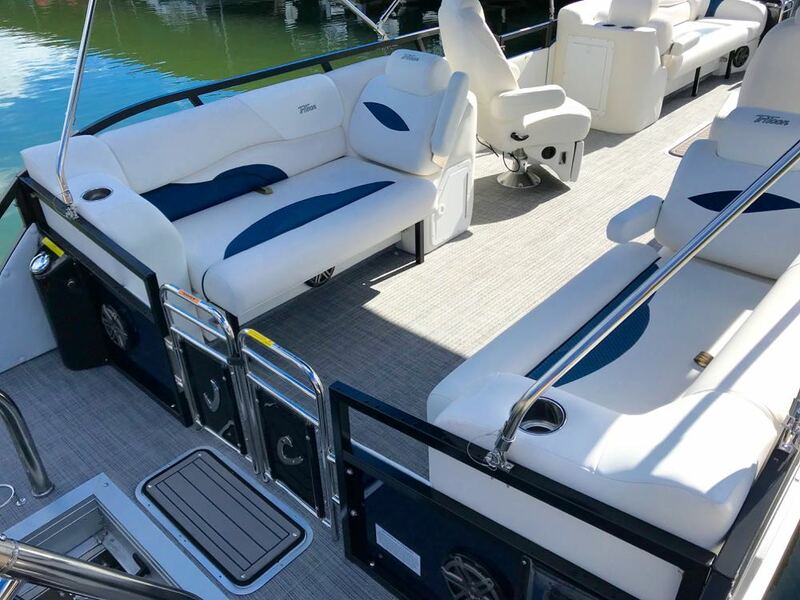 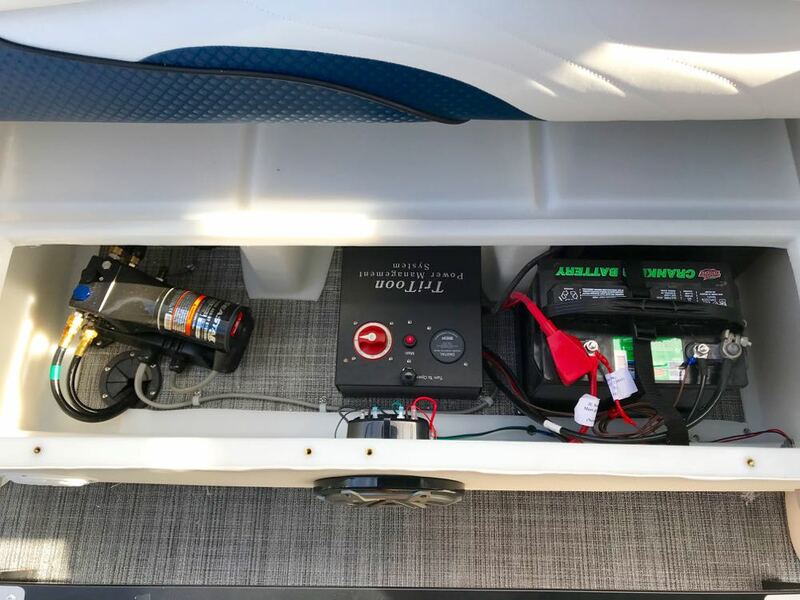 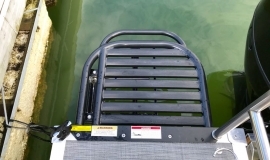 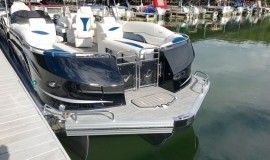 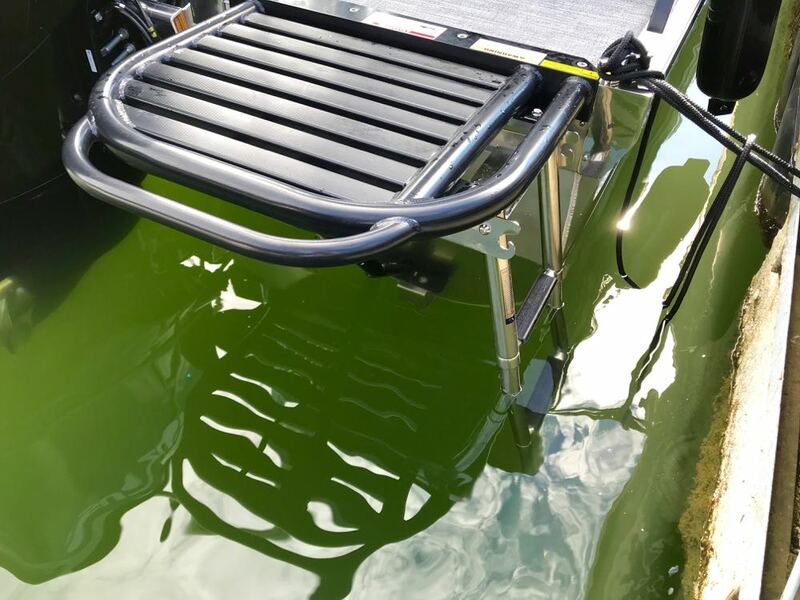 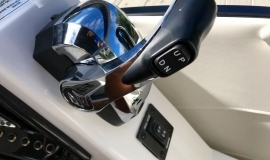 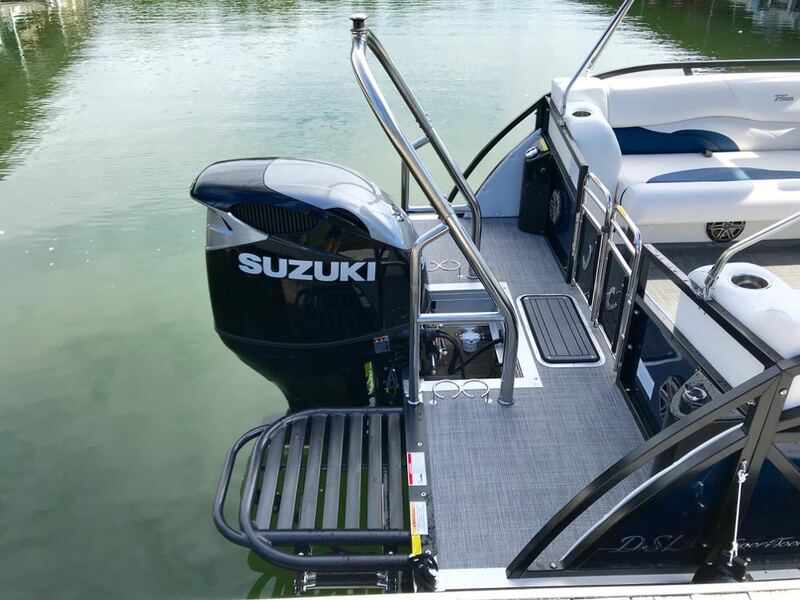 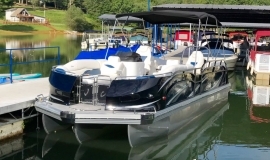 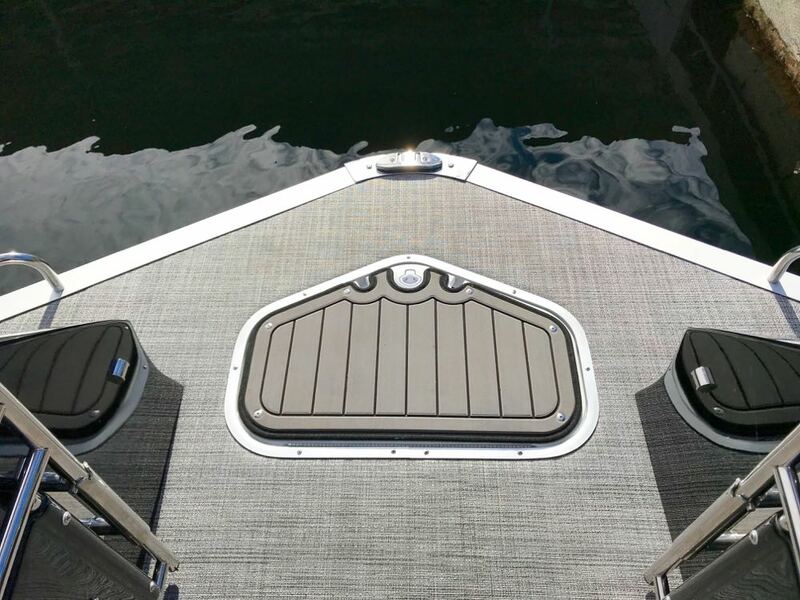 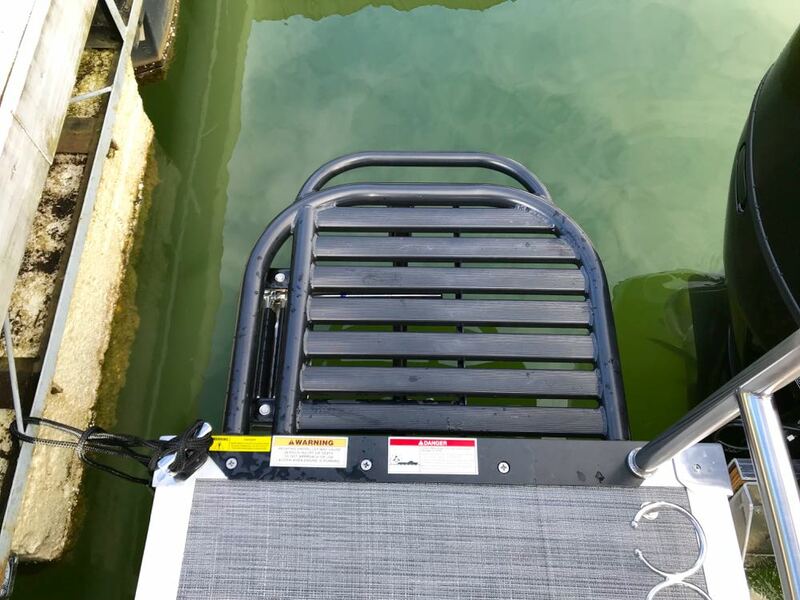 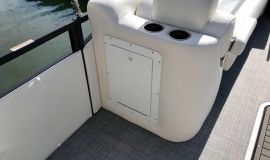 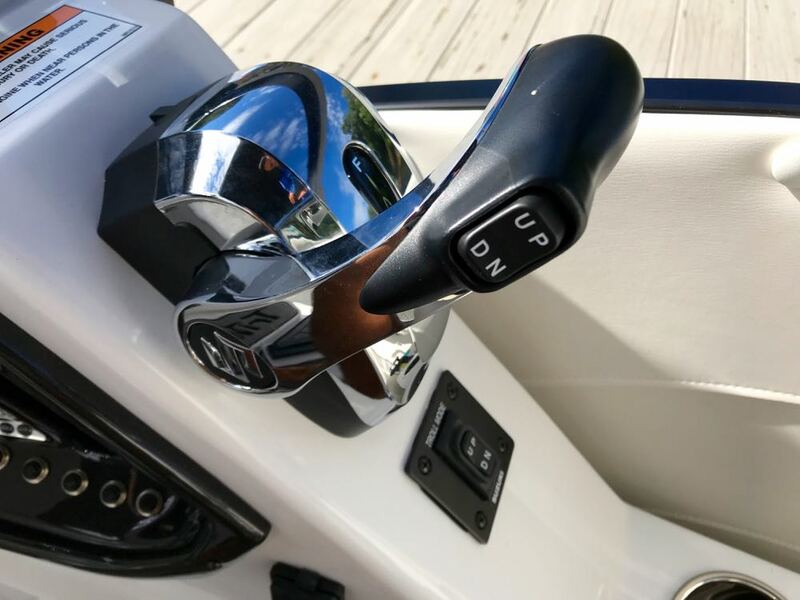 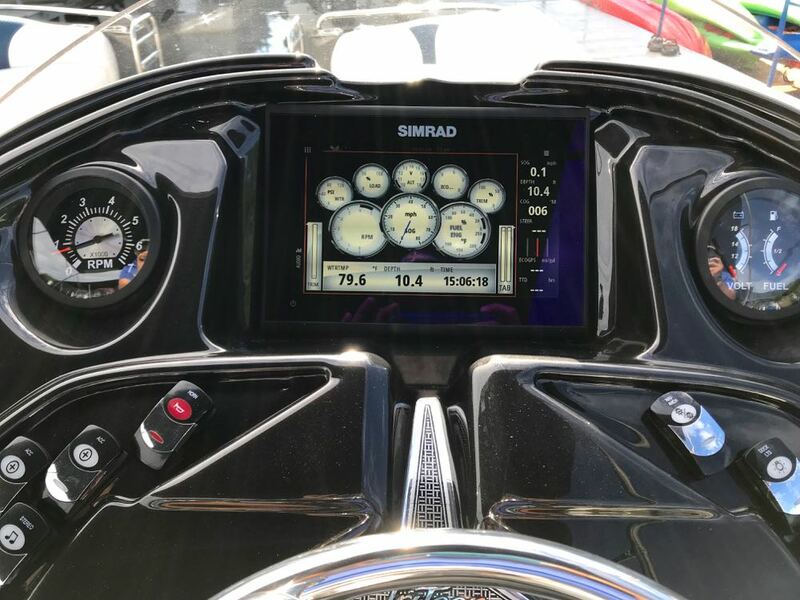 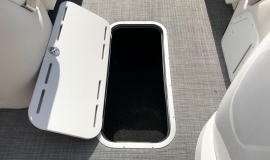 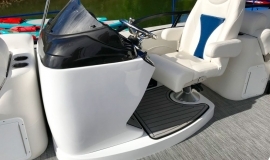 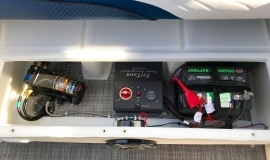 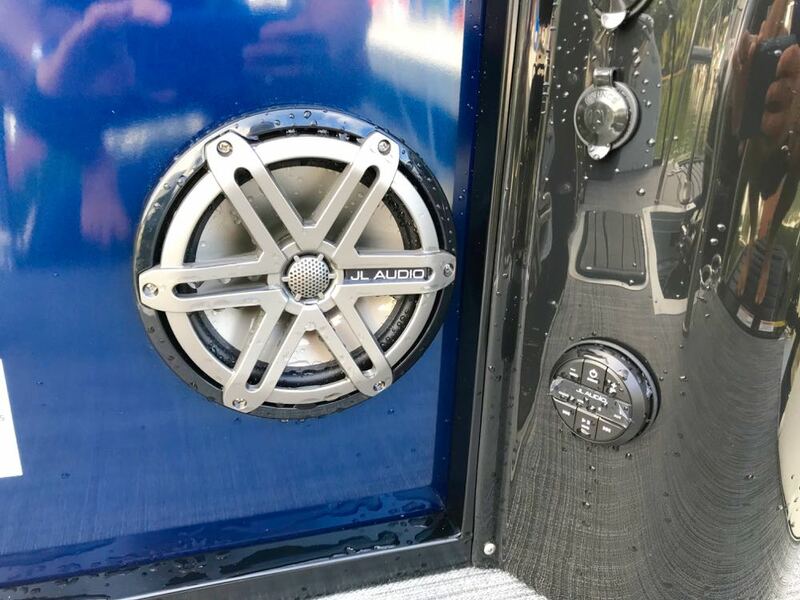 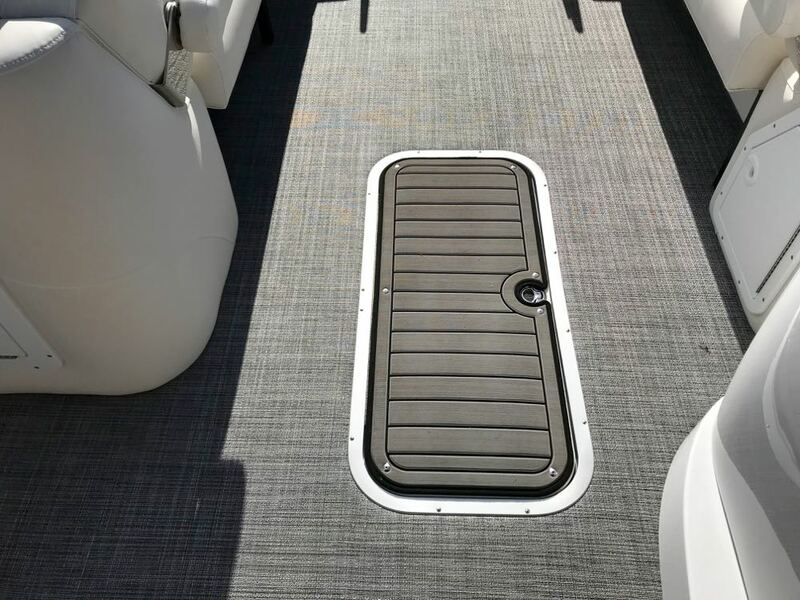 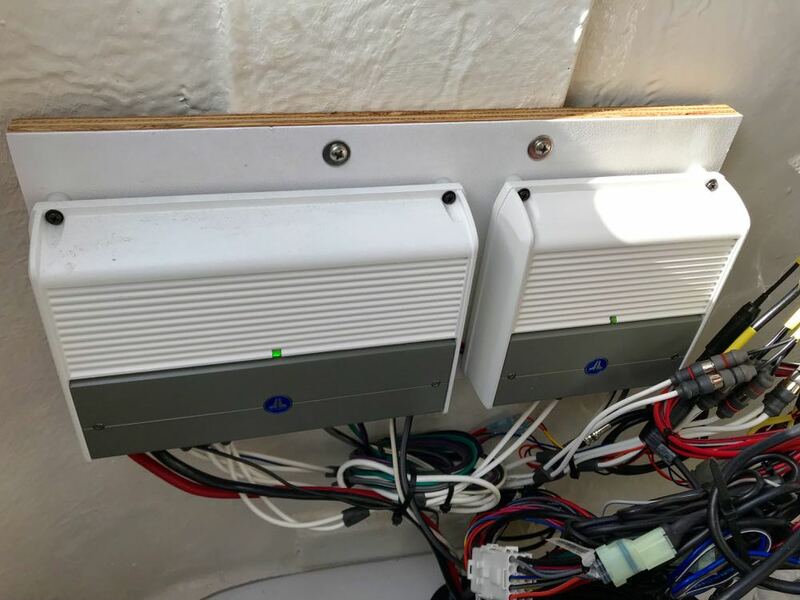 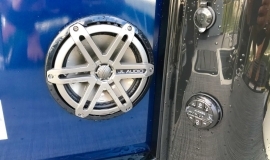 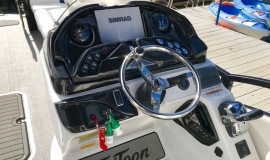 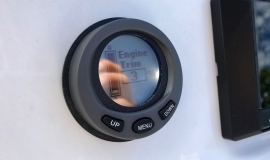 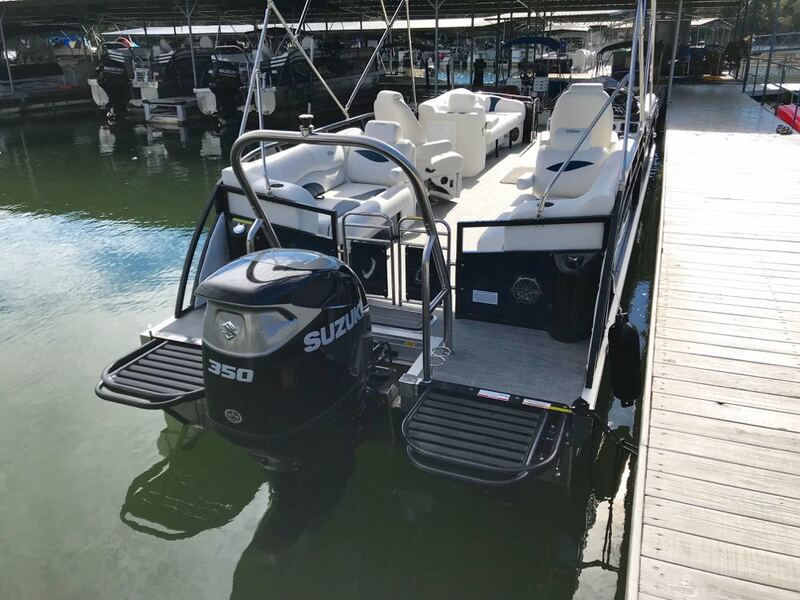 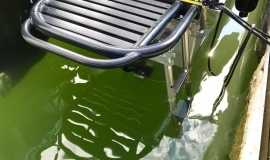 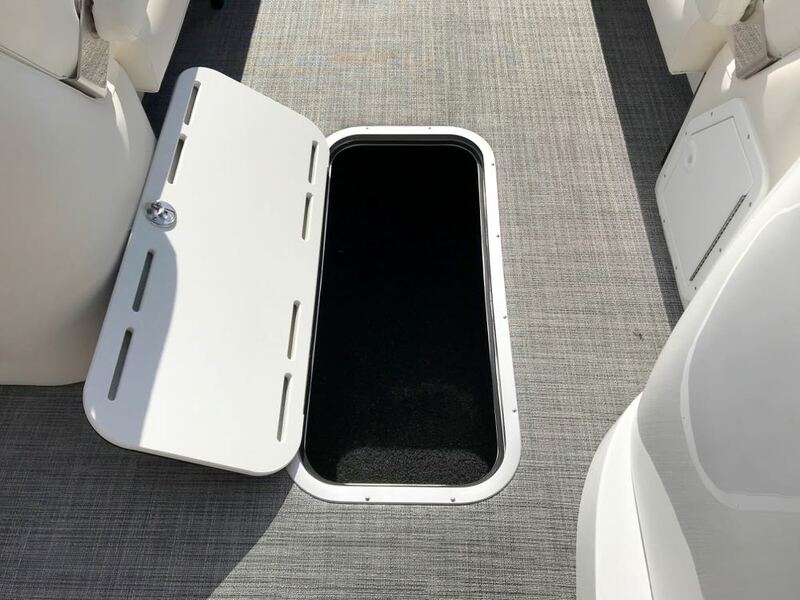 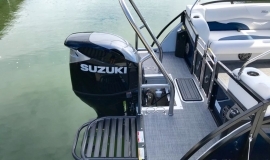 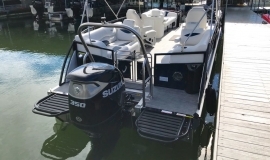 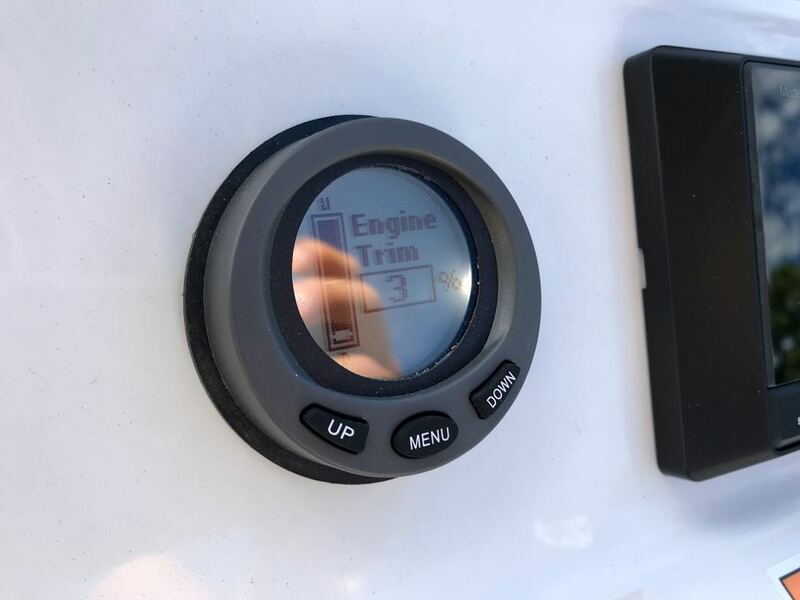 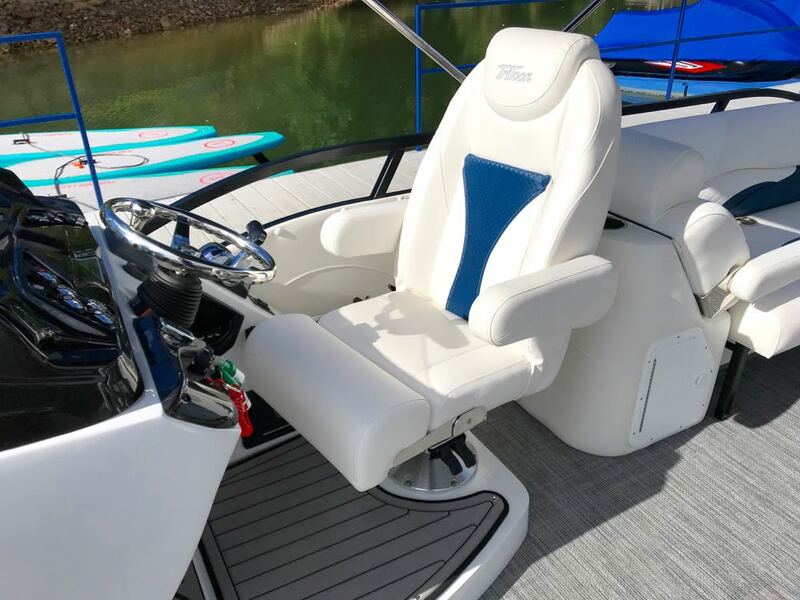 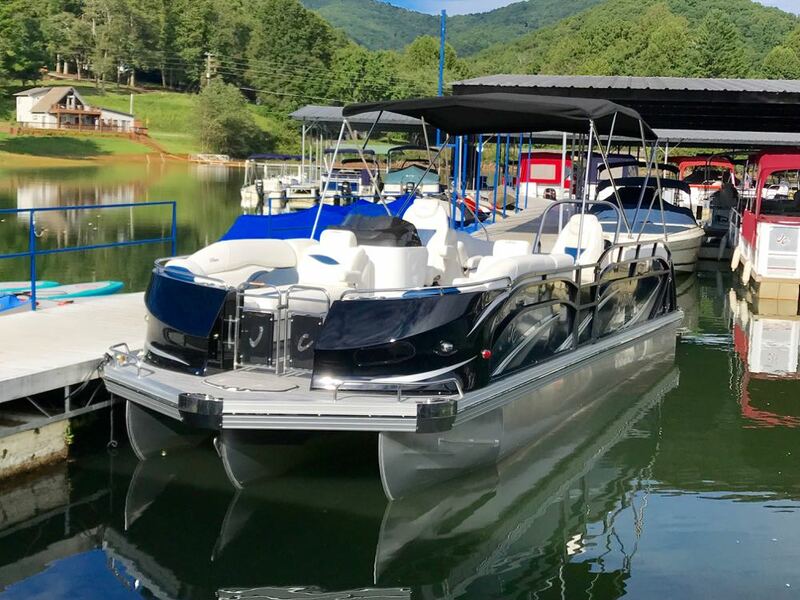 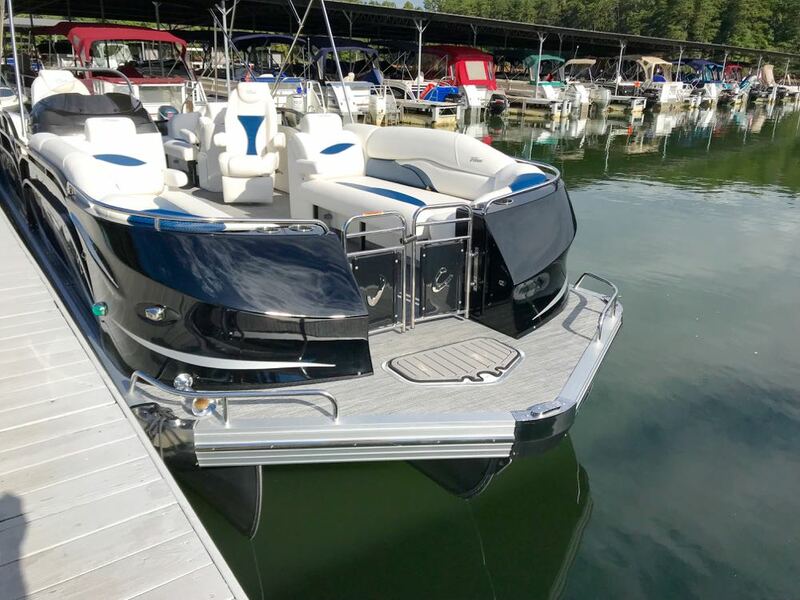 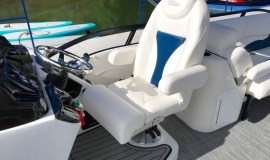 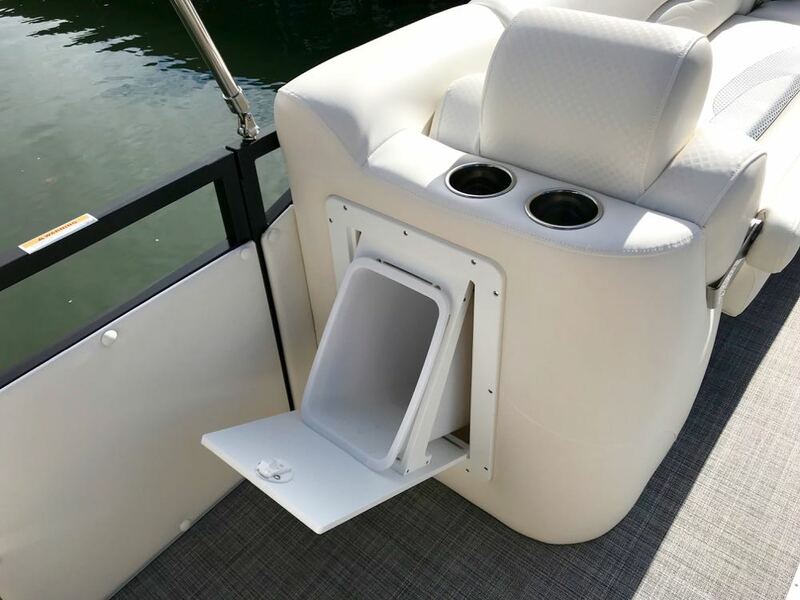 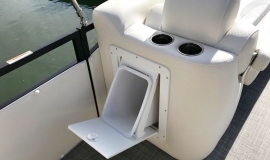 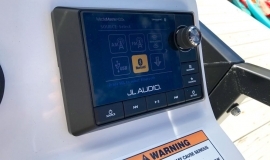 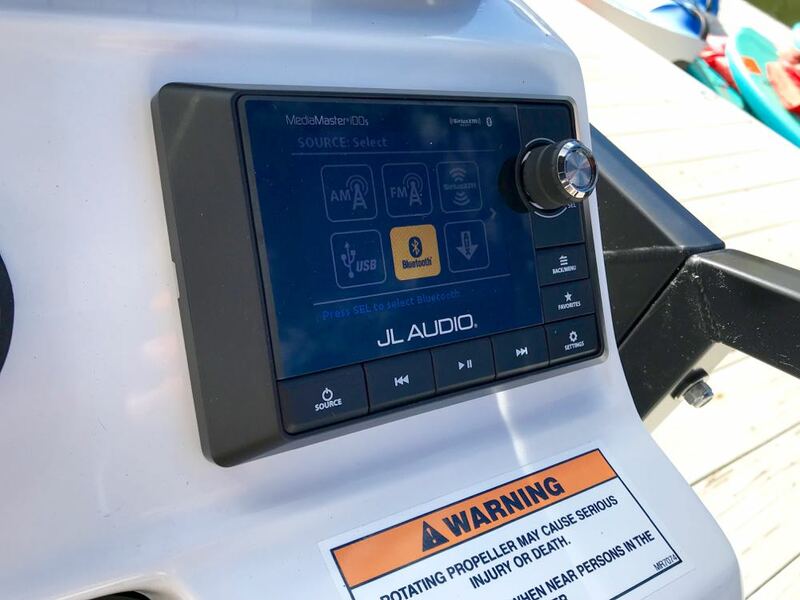 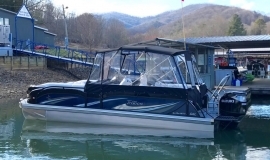 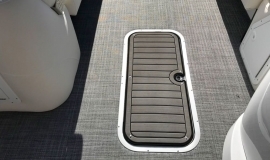 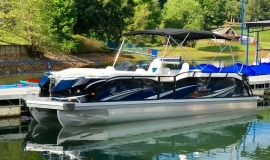 The new 6″ deep deck also features a deeper ski and wakeboard locker, bow anchor locker, taller stainless heavy duty ski tow, high polish corner castings, and stainless steel rubrail insert around the perimeter of the boat. 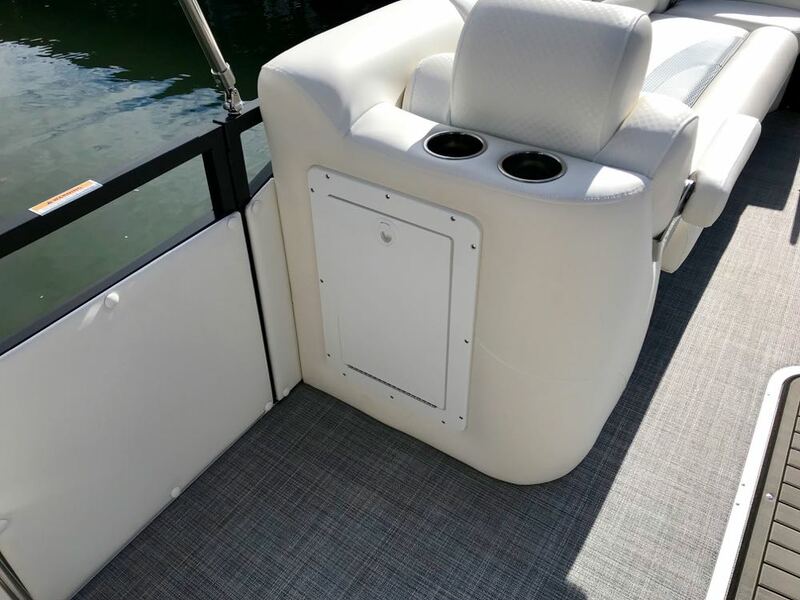 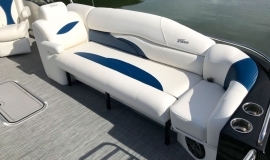 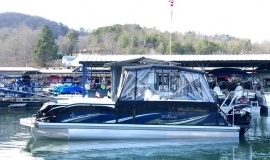 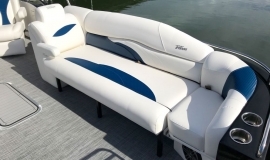 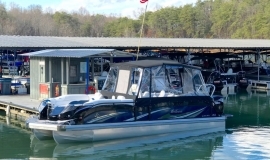 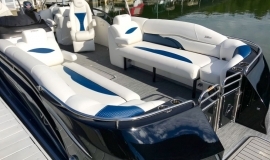 This boat also includes a custom Sunbrella full enclosure with bow seat covers. 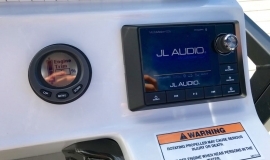 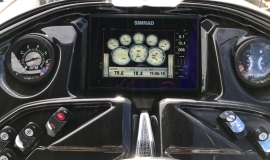 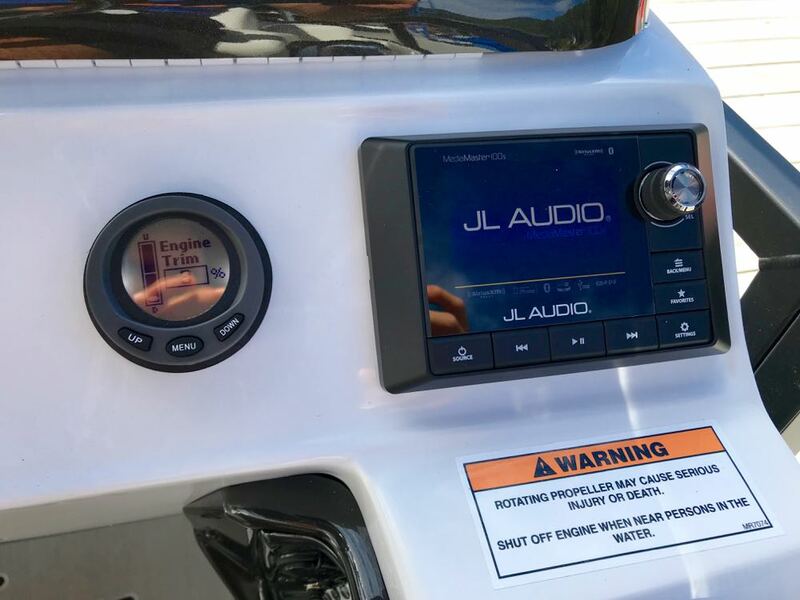 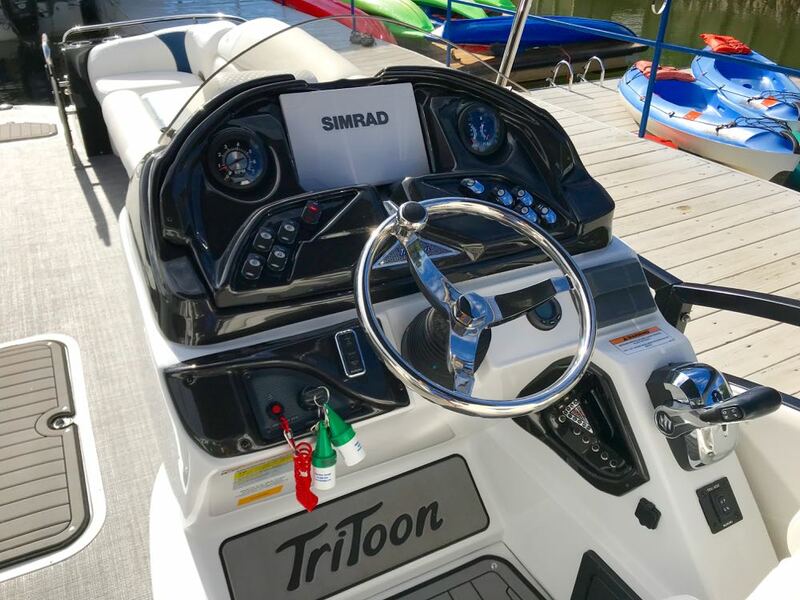 Features include: New Suzuki 350 with duo prop counter rotating propellers, drive by wire electronic throttle, push button engine start, 9″ Simrad touchscreen color GPS/depth finder with engine management integration nested in-dash, Custom Sunbrella bimini top with 1″ all stainless frame and hardware, dual stern swim platforms with starboard stainless ladder, JL Audio Media Master stereo with color display, bluetooth, transom remote control, 2 JL Audio Amps, (6) JL Audio 7.7 series speakers in the upgraded 8.8 style face inside the boat with (2) additional JL aft deck speakers, USB & Aux. 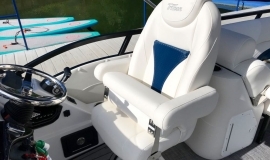 plugs, New power management system to efficiently optimize dual battery usage, New high-end upholstery exclusive to JC TriToon, Stainless Steel Arm-Rest Brackets, New Stitched “JC TriToon” Logos on the seats, Improved Stainless Steel gates, Schmidt Stainless Steering Wheel, Upgraded Upholstery Trim Package, Stainless Bow Anchor Cleat, and more. 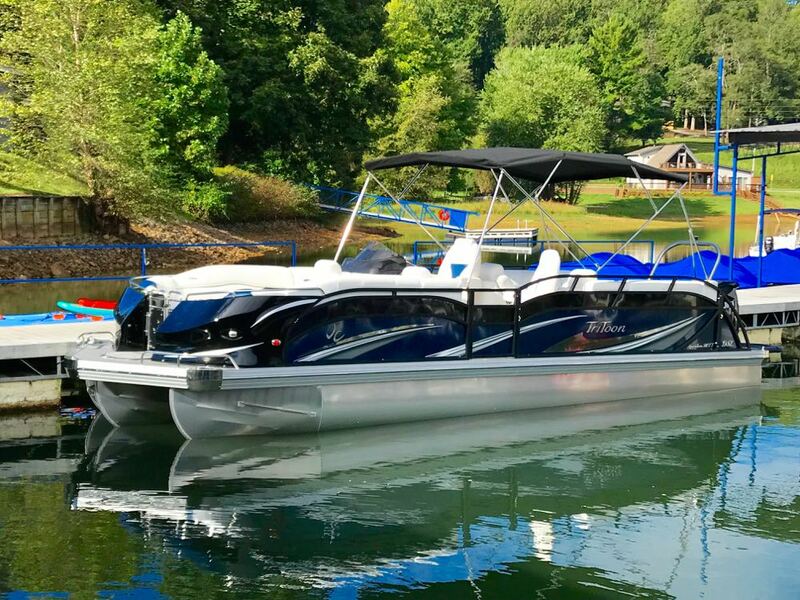 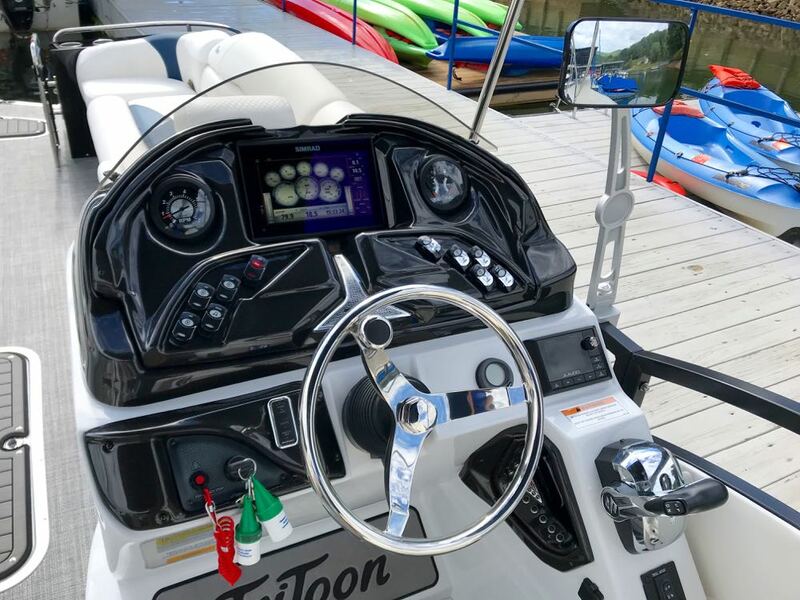 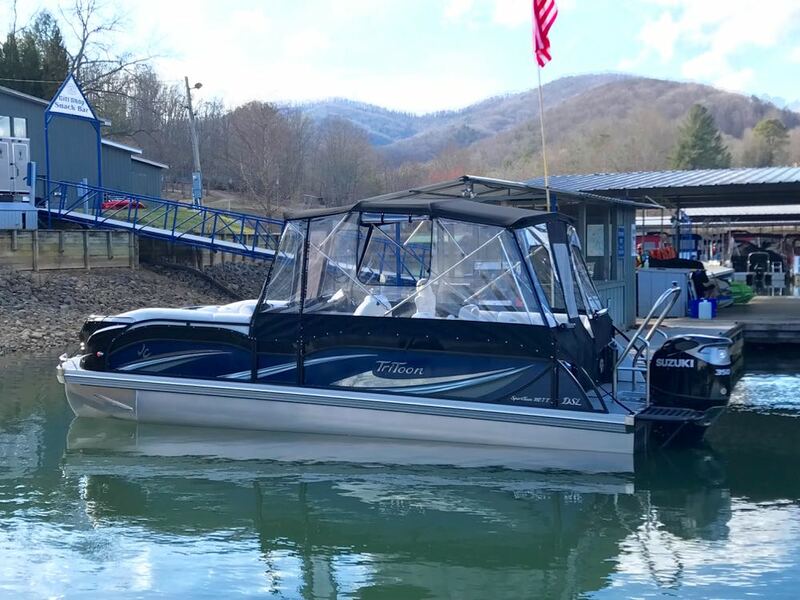 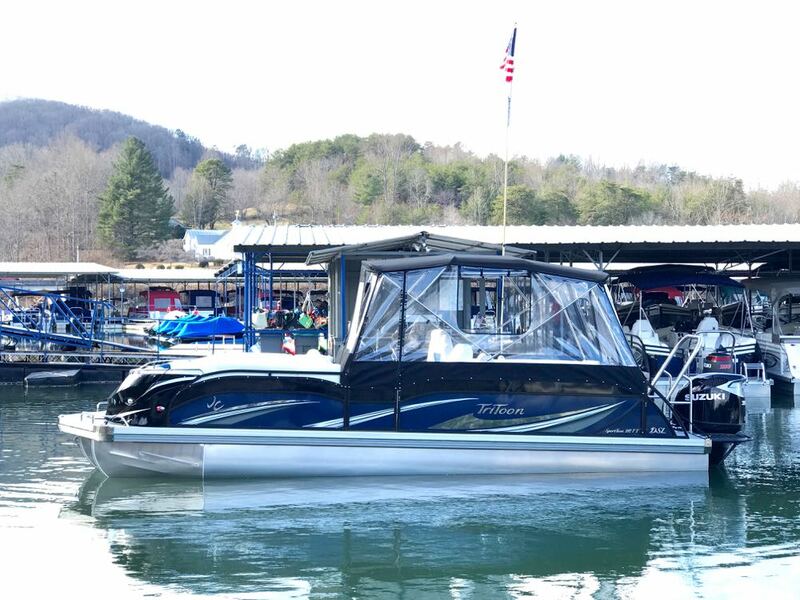 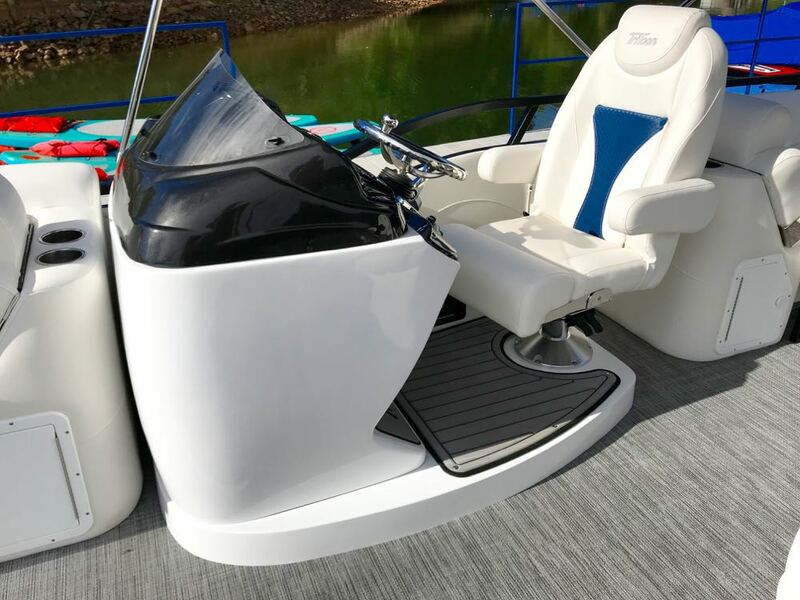 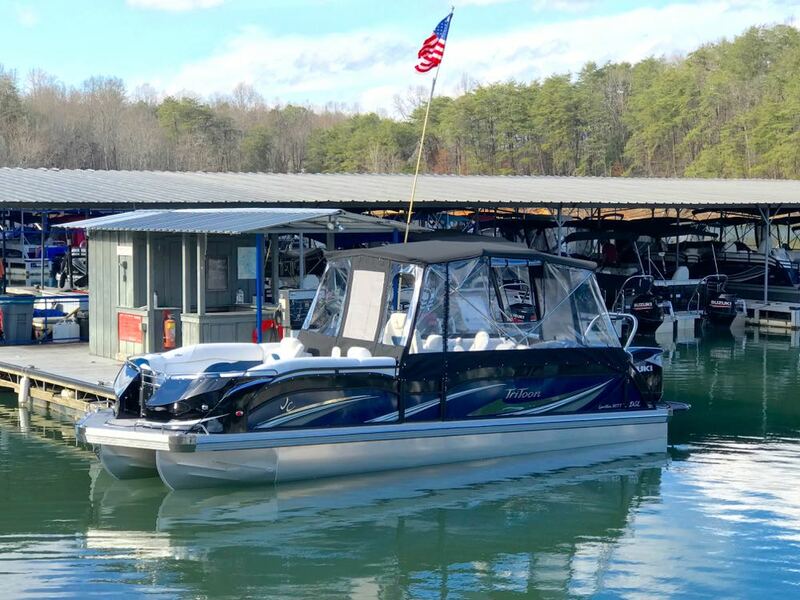 This new SportToon TriToon features JC’s high-performance Sport Hull with hydro-performance fins, aluminum underskin, and power-assist hydraulic steering. 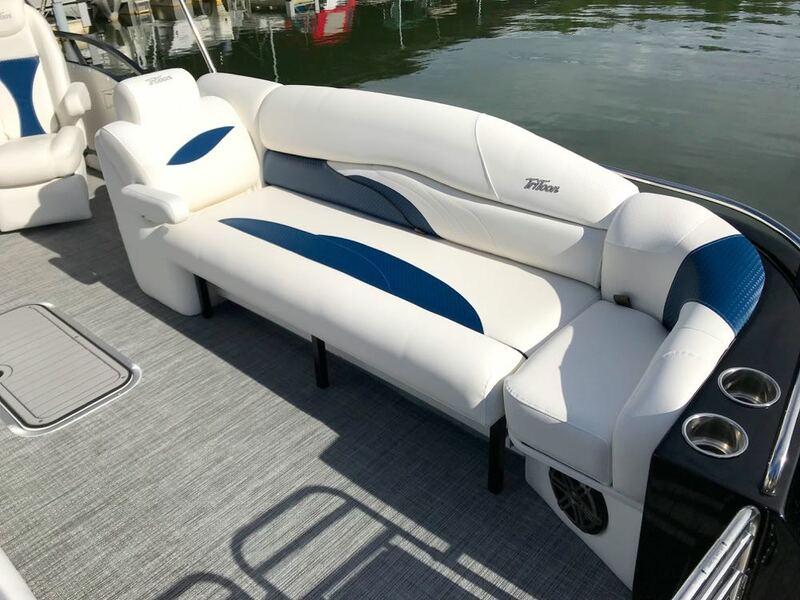 On the topside, you’ll find JC’s new Dual Stern Lounge Seating! 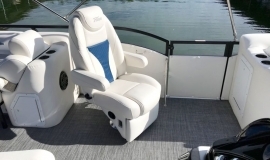 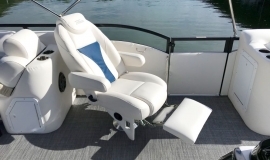 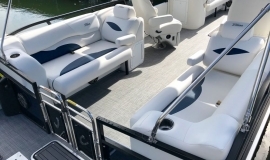 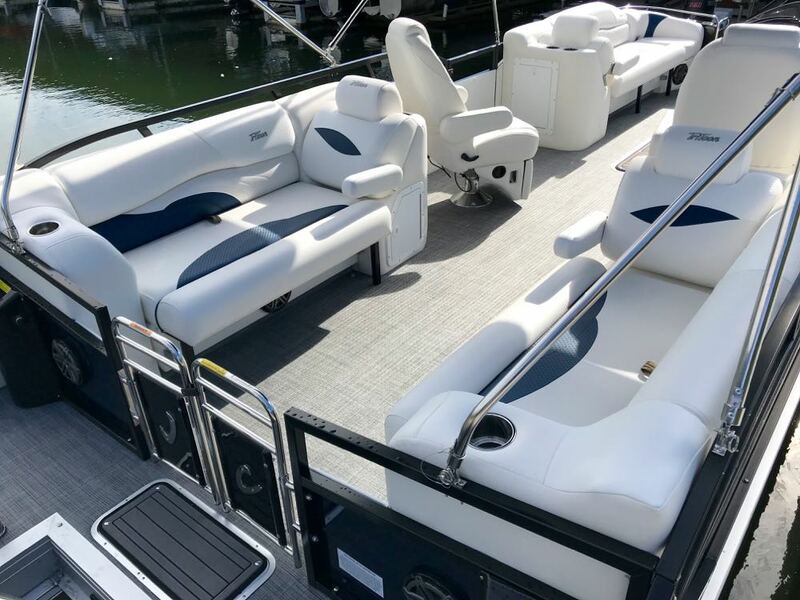 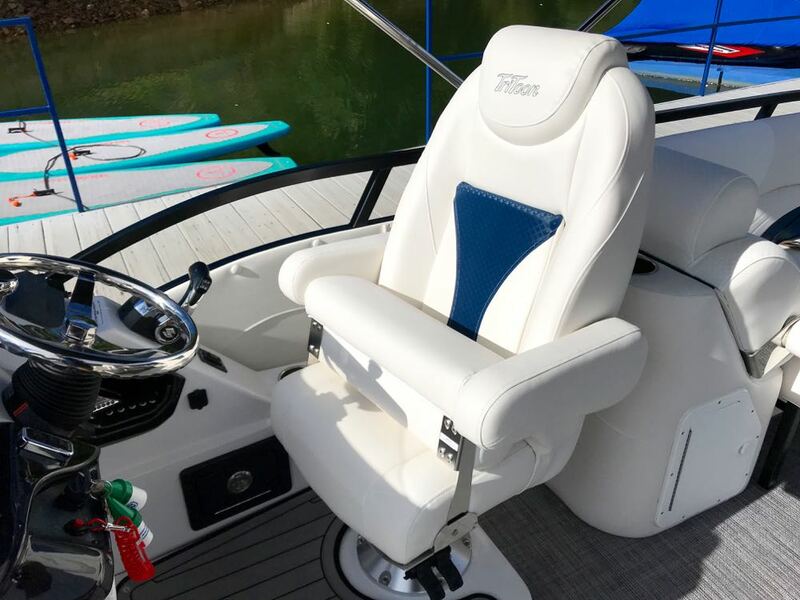 The perfect cruising and lounging configuration, with reclining captain’s chair with leg support on the port side and a reclining Captain’s chair with flip-up bolster behind the helm. 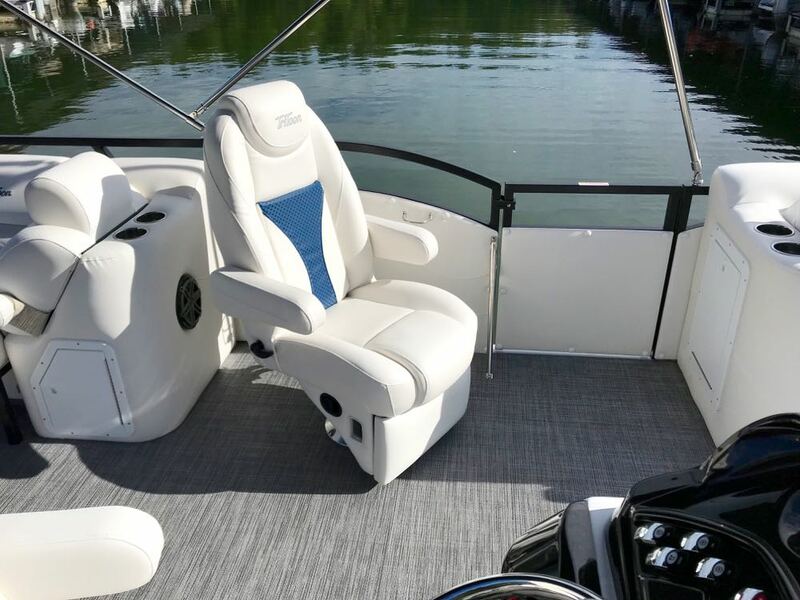 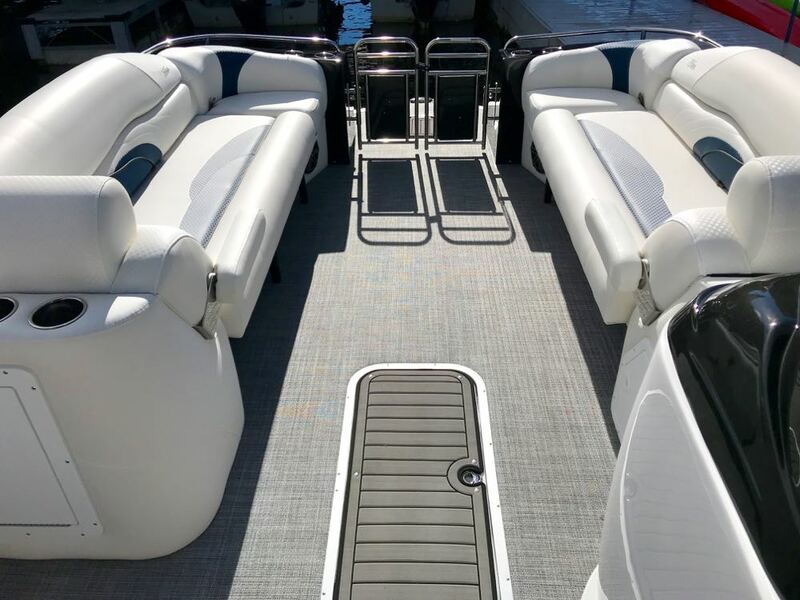 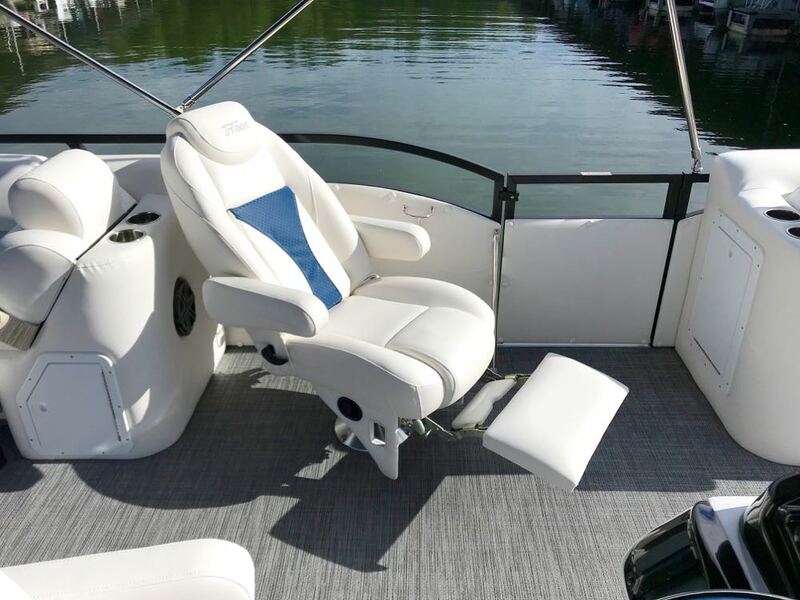 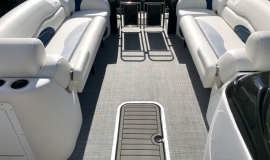 Behind the twin Captain’s chairs, you’ll find 2 adjustable width rear-facing lounges to relax and watch the lake. 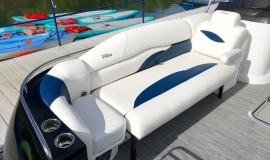 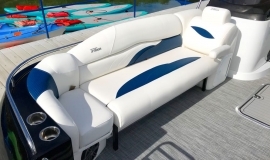 This is also a great configuration to watch tubing, wake boarding and watersports behind the boat.